Have you thought that ping pong and table tennis are the same things? You can admit it since it’s a very common mistake. Not that it matters a lot, but it’s definitely a good idea to know that they’re two different things (if not sports) and to know their differences. Now when we’ve intrigued you, it’s time to let you know more, right? 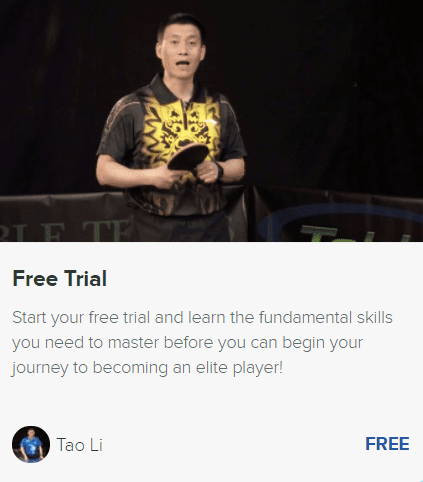 And you’re in the right place because, in this post, you’ll find everything about ping pong & table tennis, and even the main differences. However, we won’t stop there. We’ll also let you know when to refer to ping pong and table tennis in the future, so you don’t mistake it anytime in the future. Is There Even a Difference? We know that most of you out there will most likely be wondering if there’s even a difference. Well, we must tell you that there is a difference. And no matter how weird it might feel or sound, ping pong and table tennis aren’t exactly the same thing. Instead, they are referred to in two different ways. However, rest assured because ping pong and table tennis are still the same sport and you have nothing to worry about! 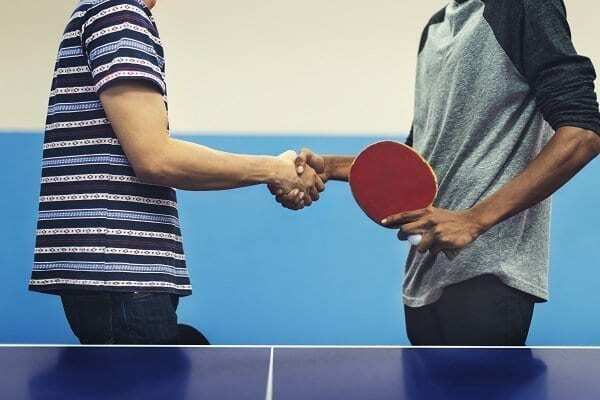 Table tennis is often referred to as professional sport by very serious players, while ping pong is referring to the same sport, just the casual version of the sport – if that makes sense. Ping pong is connected with the enthusiast ping pong players and it relates to garage players that play it for fun. On the other hand, professional players train table tennis for serious matches and tournaments – and that’s what sets these two apart. If you aren’t sure which category you are in, just ask yourself a simple question. Are you training or playing for fun? What is your goal? When Was the Table Tennis Invented? A lot of players are wondering which name was used for this game/sport. Even though a lot of people consider table tennis to be before ping pong, that’s not quite right. Table tennis was introduced the first time as a serious sport in the Summer Olympic Games which happened back in 1988. That year, the table tennis has been first time played competitively in Seoul, South Korea. We believe that’s the time when table tennis was born and even though it was considered a sport before that, that was the moment it became seriously considered as a sport. When Was Ping Pong Invented? Ping pong was invented back in 1901, way before table tennis, and even the word Ping-Pong was invented a lot earlier than that. The word itself was invented around the 1800s and it was trademarked by Parker Brothers later in the United States. Around 1901, the ping pong became very popular and it started being played competitively. You can definitely see the connection with table tennis right there. Right after ping pong became a competitive game, it was named table tennis afterward, where ping pong was left as an unofficial game name. Which One Should You Refer to in the Future? While this issue is confusing a lot of people, we hope that we’ve cleared almost any doubt or question you had in the back of your mind. However, to even resolve any confusion in the future, we’ll help you out with the naming in the future. Therefore, if you’re going for a simple fun match with your friends, you can refer to is as ping pong. On the other hand, if you’re leaving for training – you can consider it a table tennis game. Anything above serious games such as tournaments can definitely be referred to as table tennis. While this topic brought a lot of confusion to a lot of people and even long-time players, it’s not something that’s too hard to understand. Even though it’s the same sport, it depends whether you take it very seriously or not. Competition turned ping pong into table tennis, and that’s the only main difference, along with the rules that come included. For example, the International Table Tennis Federation is one of the biggest parts of table tennis as they regulate the game and rules of table tennis, but they don’t have anything to do with ping pong. Copyright ©2019 PingPongExperts. All Rights Reserved. PingPongExperts.com is a participant in the Amazon Services LLC Associates Program, an affiliate advertising program designed to provide a means for sites to earn advertising fees by advertising and linking to amazon.com.We make some commissions if you purchase the product through our affiliate link and it does not increase the price for you. We don't test the products we review here, we solely use own research and consumer feedback to create the information. You should do your own research before adopting any of the suggestions from this.